The secret to a flourishing career is ability and passion for your profession. 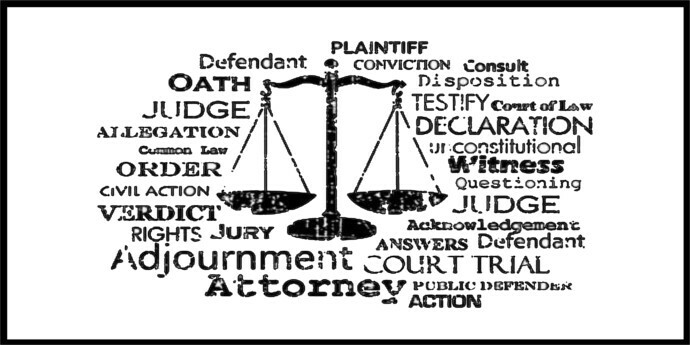 Law is a lucrative profession which demands good amount of hard work with no shortcuts. Oratory skills and good command over language are some of the key skills required to become a successful lawyer. Law graduates, apart from practicing in courts, can also work with corporate houses, law firms, administrative and judicial firms. Litigation: As per provisions contained in the Advocates Act, one needs to enrol with State Central Bar Council 1961 in order to practice law in the court. Qualifying the Bar Council of India examination is also a requirement. To get enrolled as an advocate an application in the prescribed form needs to be submitted to the State Bar Council within whose jurisdiction the applicant proposes to practice. Indian Legal Service: Among various options, law graduates can opt for Legislative Council in Legislative Department and legal service in Department of Legal Affairs. Almost in all the ministries/department/undertakings of the government of India and the State Govt., there is a specific position of law officers and legal advisors for those who qualify the Union Public Service Commission or State Public Service Commission examination. Above and beyond, as per the guidelines, law graduates are appointed as income tax, sales tax, officers, legal advisors, , judicial members in CAT, legal secretaries in assembly’s staff in higher, lower, quasi judicial bodies, public prosecutors, members of law commission, government advocates, solicitors, Attorney General of India. To conduct court martial proceedings, they are also recruited in the legal branches in Indian Army, Navy and Air force. Those who hold a law degree and qualify the public service examination can also fill the lowest judicial cadre posts of magistrate or sub judge in the judiciary. Teaching: Law graduates who have a flair for teaching, may, after qualifying NET/SET examinations become professors and guest lecturers in prestigious universities. Now a days legal journalism is also in trend. Law graduates can also work with international organizations like the United Nations and its agencies, NGO, etc. Law firm: These firms provide the opportunity to work on a wide range of problems that may or may not be restricted to a particular area of the law. Benefits associated, include a very high salary; large, diverse client base; extensive firm resources; luxurious offices, global prospective, prestige and networking opportunities.